If there’s any doubt …. My title and sub-title comes from commercial aviation. It’s one aspect of the safety culture that safely the millions of passengers who embark on a commercial flight each year. (IATA estimate that it will be 3.6 billion in 2016.) In other words, if the flight crew have even an inkling of an issue with the aircraft while in flight they will make an immediate decision to land. Why I chose this title will become clearer as you read on. 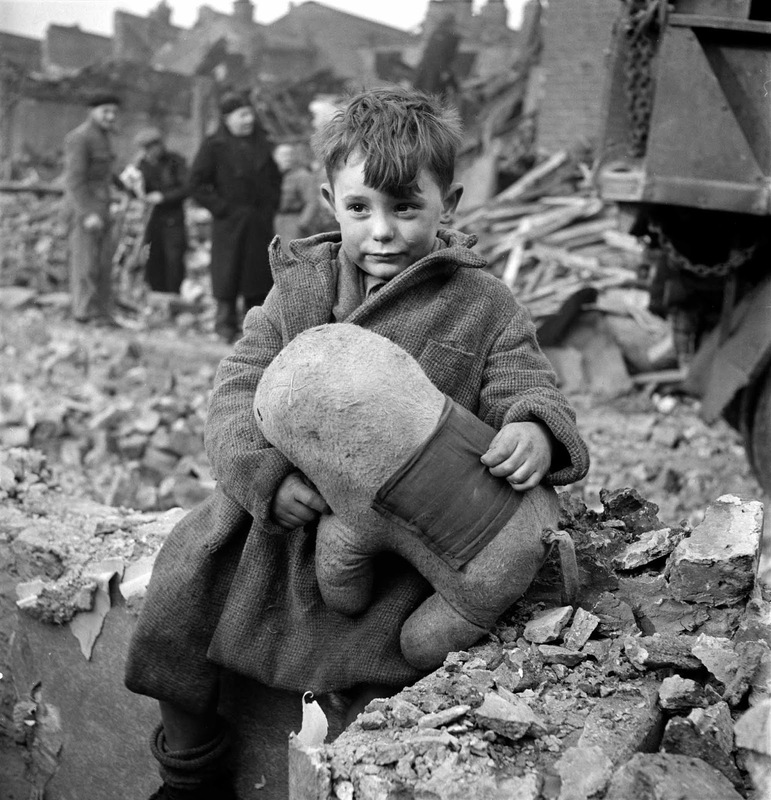 The end of the Second World War so far as Europe was concerned came on May 8th, 1945. In other words: VE Day. London was not a pretty sight in 1945. What’s the relevance of May 8th, 1945 to me? Well exactly six months, to the day, before VE Day yours truly was born in Acton which was just six miles West of Marble Arch in the centre of London. Nazi Germany continued to bomb London up until 1945 using a variety of delivery methods including V-1 and V-2 rockets. In total 1,115 V-2s were fired at the United Kingdom. The vast majority of them were aimed at London, though about 40 targeted (and missed) Norwich. 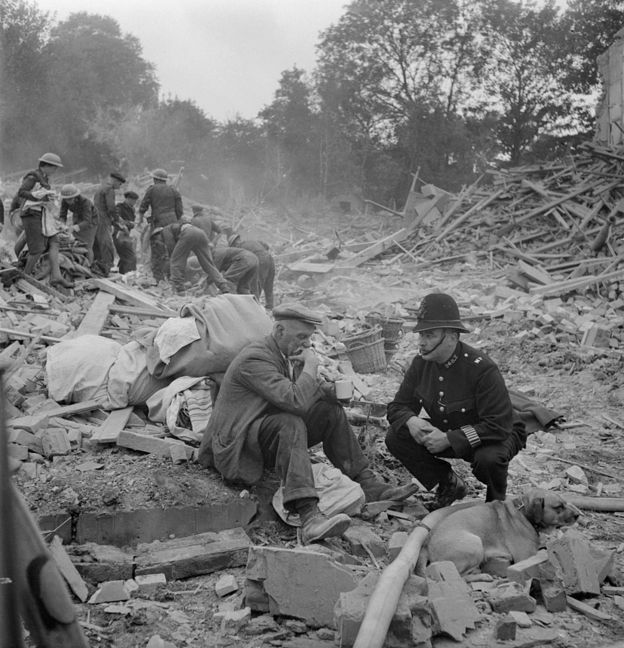 They killed an estimated 2,754 people in London with another 6,523 injured. 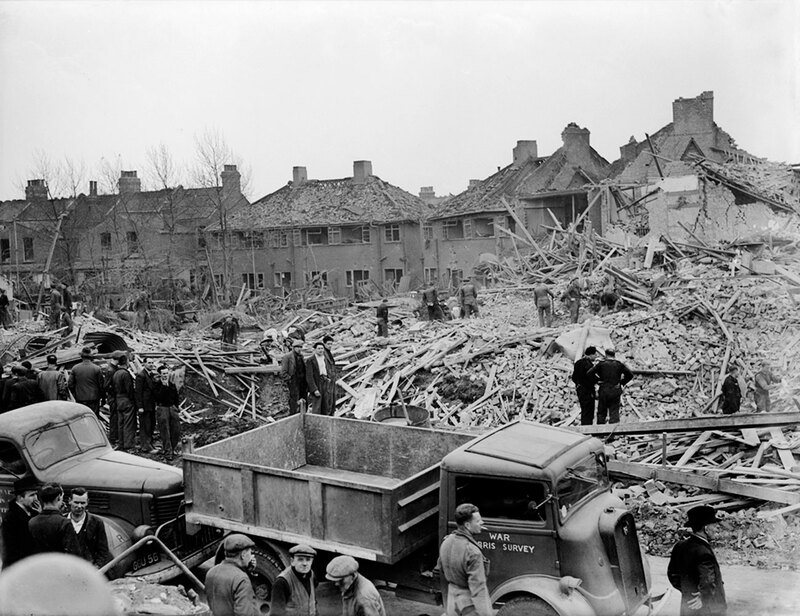 I have very clear mental images of playing in and around bomb sites near our home right up to 1953 when there was a real push to clear the sites away ahead of the Queen’s Coronation on June 2nd, 1953. German V-2 bomb damage on houses in Uppingham Avenue, Stanmore, just a few miles from home. The bomb exploded on March 16th, 1945. So what’s this all about and why do I see it as relevant to today’s world? Stay with me for a little longer. With all due respect, and abundant apologies for the daring image, we can’t write exclusively about dogs, lest we want to finish as dog food. As Paul is suggesting. Indeed I view seriousness in global inquiry as a basic moral duty. Imagine Jews worrying just about dogs, while Auschwitz was being built; it’s arguably what happened, said Hannah Arendt (I’m paraphrasing; she was hated for it, though…) Some will scoff, but Kim in Korea is building one new H bomb every 5 weeks… One single H bomb, in the ‘right’ place, can kill more than Auschwitz. Civilizations collapsing into Dark Ages from the actions of dozens of millions of people occurred more than once. And then very small groups arose, often within the collapsing empire, and imposed new ways of thinking which enabled civilization to restart. I then went across to that article carried by The New Yorker. It was an article written by Eric Schlosser, author of the book Command and Control: Nuclear Weapons, the Damascus Accident, and the Illusion of Safety and a producer of the documentary Command and Control from 2016. Harsh political rhetoric, combined with the vulnerability of the nuclear command-and-control system, has made the risk of global catastrophe greater than ever. On June 3, 1980, at about two-thirty in the morning, computers at the National Military Command Center, beneath the Pentagon, at the headquarters of the North American Air Defense Command (NORAD), deep within Cheyenne Mountain, Colorado, and at Site R, the Pentagon’s alternate command post center hidden inside Raven Rock Mountain, Pennsylvania, issued an urgent warning: the Soviet Union had just launched a nuclear attack on the United States. The Soviets had recently invaded Afghanistan, and the animosity between the two superpowers was greater than at any other time since the Cuban Missile Crisis. The harsh rhetoric on both sides increases the danger of miscalculations and mistakes, as do other factors. Close encounters between the military aircraft of the United States and Russia have become routine, creating the potential for an unintended conflict. Many of the nuclear-weapon systems on both sides are aging and obsolete. 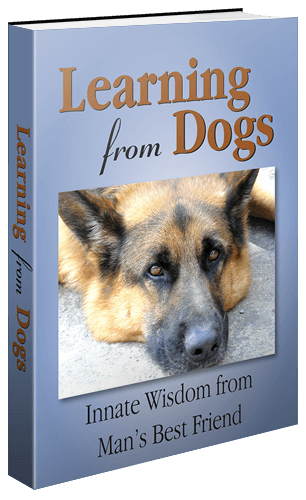 The personnel who operate those systems often suffer from poor morale and poor training. None of their senior officers has firsthand experience making decisions during an actual nuclear crisis. And today’s command-and-control systems must contend with threats that barely existed during the Cold War: malware, spyware, worms, bugs, viruses, corrupted firmware, logic bombs, Trojan horses, and all the other modern tools of cyber warfare. The greatest danger is posed not by any technological innovation but by a dilemma that has haunted nuclear strategy since the first detonation of an atomic bomb: How do you prevent a nuclear attack while preserving the ability to launch one? Every technology embodies the values of the age in which it was created. When the atomic bomb was being developed in the mid-nineteen-forties, the destruction of cities and the deliberate targeting of civilians was just another military tactic. It was championed as a means to victory. The Geneva Conventions later classified those practices as war crimes—and yet nuclear weapons have no other real use. They threaten and endanger noncombatants for the sake of deterrence. Conventional weapons can now be employed to destroy every kind of military target, and twenty-first-century warfare puts an emphasis on precision strikes, cyberweapons, and minimizing civilian casualties. As a technology, nuclear weapons have become obsolete. What worries me most isn’t the possibility of a cyberattack, a technical glitch, or a misunderstanding starting a nuclear war sometime next week. My greatest concern is the lack of public awareness about this existential threat, the absence of a vigorous public debate about the nuclear-war plans of Russia and the United States, the silent consent to the roughly fifteen thousand nuclear weapons in the world. These machines have been carefully and ingeniously designed to kill us. Complacency increases the odds that, some day, they will. The “Titanic Effect” is a term used by software designers to explain how things can quietly go wrong in a complex technological system: the safer you assume the system to be, the more dangerous it is becoming. My greatest concern is the lack of public awareness about this existential threat, the absence of a vigorous public debate about the nuclear-war plans of Russia and the United States, the silent consent to the roughly fifteen thousand nuclear weapons in the world. Is there a dog angle to all of this? You bet! For dogs as well as people are all innocents caught up in the madness of war. Now do you see why I entitled today’s post If there’s any doubt. there’s no doubt. For if we were the flightcrew of the good ship Earth we would be urgently looking for a diversion airfield upon which to land; and land now! Wherever you are in the world, whatever you are doing, if you share the concern expressed so clearly by Patrice don’t do nothing. Even if all you do is to send a message on one of the social media apps that’s far better than doing nothing. All that evil requires to succeed is for good people to do nothing! For I haven’t a clue as to when and how my life will come to an end but, as sure as hell, I would prefer that it isn’t six months to the day after the start of World War III. Especially if that war came about as a mistake! It’s doubly tragic… The accidental prospect, and the fully conscious one. We are like the herion addict who sees his own destruction but simply does not stop chasing the dragon. Sadly, until we get off this rock and into space in a permanent and meaningful way we’re going to be subject to these terrestial (tribal) blunders. There is most certainly a need in the motivations and aspirations of those in, or seeking, political office to be different. As always, good to hear from you. Direct democracy to the rescue! In this highly connected world where millions of transactions, including banking, are carried out safely and securely online, the time really has come for direct democracy. Will it happen? Not a bloody chance! Paul such an interesting article to end what has been in itself another turbulent year for many.. While I so understand the threats we human pose to our existence and the ignorance we All hold in our daily lives.. If we were to step in another’s shoes WWIII would have already started.. Were we to look hard around our globe to see the devastation War is already bringing to many part of the globe..
Not only through our man made weaponry but with our Lack of concern for Nature as species wage their own war as Mankind constantly destroys habitats daily at alarming rates..
We say how much a threat Nuclear weapons are, and yet radiation is belching out around the world from Nuclear power leaks which have been forgotten.. Yet their silent poison is seeping into our oceans, into our air and will be creating even more cancers for our future generations to come.. Nature is remarkable.. She has gone through many upheavals in her evolution, many ice-ages, volcanic eruptions and she has warmed up, cooled down, flooded and iced over again and again.. And yet here we see her in all her wondrous beauty.. Were it not for Mankind.. I feel I have said this before Paul.. 2017 is going to be a pivotal point for many.. I am not a politician.. The only act I can clean up is my own.. I do believe no war is ever accidental though, it takes years in the planning..
And when you step back and really ‘look’ The writing has been on the wall for a while.. The players have all been making their moves all be it their game plan has not always been running to schedule.. I fight wars often, by signing petitions of various sorts.. From animal welfare, to Indigenous Tribal lands being taken in the Amazon to Human Rights violations.. There are many unseen Wars going on in the world.. Which breaks my heart at times Paul.. Thank you for standing up in your corner Paul ,,, We should all of us be concerned.. And start by looking at ourselves in the mirror at our own actions that contribute by our own actions of mistrust, judgments and prejudices and lack of care and kindness.. When we start to address our own failings maybe then the ripple effect will flow out more as we heal ourselves maybe then we will begin to heal the world..
Love and Light my friend.. I wish you and Jean a Most Happy and Healthy New Year..
Sue, you are far from alone in believing that 2017 is going to be a pivotal year. But one thing will remain unchanged and that is how much Jeannie and I enjoy your friendship. Big hugs! I certainly found Schlosser’s essay compelling. Did you read the full article, Tony? I’m not sure where you got Tony from. It’s Larry. Ha, ha. But no problem. just don’t call me late for dinner right? Haven’t read the full article but have set it aside to read later after going through all me emails. Larry, neither can I come to a reason why I thought of you as a Tony. At least I didn’t mistakenly call you Diana!! OK, it’s Larry, sorry… Confusion, confusion… Just like some confuse Obama’s nuke program, and Trump (who is not yet in power). Definitely some food for thought here. We all need to stay vigilant to ensure that an unforeseen tragedy doesn’t take place. Perhaps this should take the form in a public grass roots campaign. My hope is that the coming New Year will see countless numbers peacefully protesting! The power of the people is so important just now. Unfortunately there are some that are protesting in not so peaceful ways. I too believe that we are entering a dangerous era. Trump’s appointees are a very worrying lot. There has been a lot of discussion in academic circles in recent years about societal collapse – mainly from economic and environmental perspectives. The writings of Joseph Tainter and Jared Diamond have been especially illuminating. I’ve also read and heard with interest what Dimitry Orlov has had to say about what happened during the collapse of the USSR in the 1980’s. Of course nuclear war is the most worrying of all because if it’s full scale, it will mean the complete destruction of everything in a very short time and none of us will survive. There will be no academics or historians in the future to write about these things. Thousands of species of animals and plants will also disappear forever. It’s unimaginable to think that such a thing could happen and that hostilities could start and end within a single hour. There’s a lot to be concerned about at this point in history and every day I read and think about these things as I am not the type to bury my head in the sand. Once you become aware of the great fragility of life, you cannot ignore it. Just like being diagnosed with a terminal illness, I guess, it also serves to focus the mind on the good things about life, especially friendships and the beauty of nature and to not take these for granted. My two dogs are also a great source of happiness and the constancy of their love a great comfort. Thanks for your comment, Marg! :-). It helped me think about the matters below (which I will develop in a full essay on my site, so thanks again). Tainter’s explains collapse by declining marginal returns. A common concept in economics, diminishing returns are used to understand how equilibrium can develop. Applied to a society, Tainter attributes the declining returns to unprofitable territorial expansion or cancerous growth of administrative complexity. This does not resist careful examination. Tainter completely ignores the hyper drought which, combined to ecological devastation from overpopulation, led the Maya to uncontrolled civil war, when the two large cities control system was displaced by an ambitious queen from a third city. One can see there that an avalanche of enormous factors pertaining to a situation can make a general collapse theory impossible. Diamond is interesting. I love to read him. However he just confirm what I just said: Diamond got the big picture grotesquely wrong about the Incas, and, it turns out from the latest studies, about the Viking in Greenland (he said the Viking did not hunt seals, etc, as they failed to learn from the Inuits; latest studies show this is wrong). The Viking probably just left because it got too cold and the ivory trade was not what it used to be (plus it was impossible to go kill walruses in northern Greenland, considering the sea ice was everywhere). Don’t trust general collapse theories. A smart government of a superpower will always be able to avoid collapse. The French superpower went through the disasters of 1348 as if nothing had happened, although the government was illegitimate, war with the English vassal (which was actually the legitimate suzerain) was total, nearly half of the population had been killed by the Black Death (plague), and the ecology was devastated by deforestation, overpopulation, and violent climate change (global cooling). Next door Germany also got the Black Death and the ecological crisis. So did Japan. Europe and Japan reacted in the same way: through strong laws (J.Diamond mentions this in his book, although he apparently never heard of France, which was the superpower). In France, some ecological laws had the death penalty. To reconstitute the mountains as intended by the Lord, entire regions were forcefully evacuated. What does it boil down to? Smarts. Whatever the defects of the aristocracy, aristocrats were pretty smart. Basically no aristocrats died during the Black Death, as they applied ferocious measures against the (still mysterious) infectious agent. Smarts are necessary, so are the ferocious means to implement them. The Franks conquered the silver mines of Eastern Europe (which the Romans had never reached; silver mines were the enabling factor of the Athenian empire and population expansion through the “open society”; the Franks also ran an “open society”). Once they had silver, plenty of it, the Franks could have coinage. They protected its value, rather ferociously, by slow boiling of counterfeiters. Some of the leaders of Rome were smart as the empire collapsed into stupefying stupidity. They understood the Foundation Principle explained in Asimov’s Foundation. Emperor Constantine set-up no less than THREE FOUNDATIONS: 1) Constantinople, the “new Rome”. 2) The Catholic Church (the faith of which he determined as the self-described “13th Apostle). 3) The Frankish Confederation (shock troops of the Roman empire, but equipped with their own Latin law, the Lex Salica). Roman (yet increasingly Greek speaking) Constantinople survived another 11 centuries. (Although a rogue Frankish army took it in 1204 CE, before its fall to the Turks in 1453 CE). The Catholic Church is still with us. The Franks conquered directly (nearly) all of Western Europe between 400 CE (when they were put in charge of the defense of Gallia and Germania) and 1066 (re-conquest of England), 1099 (re-conquest of Jerusalem), and further adventures against the Muslims (re-conquest of Rome, Southern Italy, Sicily, etc.). “Occidental” Rome was refounded by the Franks, and their severely modified Christianism. But it was refounded from smarts. The Franks forced the Catholic Church to teach secularly all children. The government of queen Bathilde of the Franks made slavery unawful, by the middle of the Seventh Century. This forced technological innovation. By 1000 CE, the per capita GDP of the Frankish empire (France + the “Roman empire”), was the highest in the world (thanks to beans, specially bred animals, mechanical advantage, and mechanization). No civilization can survive without drastic innovation (lack of appropriate tech innovation was the direct undoing of Mayas and Romans). Right now, to have several thousands nuclear weapons ready to explode over cities all over, just because a computer chip went bad, is the greatness madness ever seen. The greatest criminality too. Even greater than whatever Hitler did. Yes. Hitler had enough neurotoxic gases to kill all of Western Europe. He also had the means of distributing it: hypersonic V2s could not be stopped, and were launched from the Netherlands, to reach Paris and London. Moreover, the Nazis had jet bombers the Arado 234, which overflew Great Britain as late as April 1945. They were impossible to intercept (too fast, too high). So why did the Nazis not killed half of Europe in 1945? Because they knew the British would react in kind, annihilating Germany. In others words the Nazis were not MAD enough to believe in MAD (Mutually Assured Destruction). In other words, we are even less human and more crazy than the Nazis themselves. 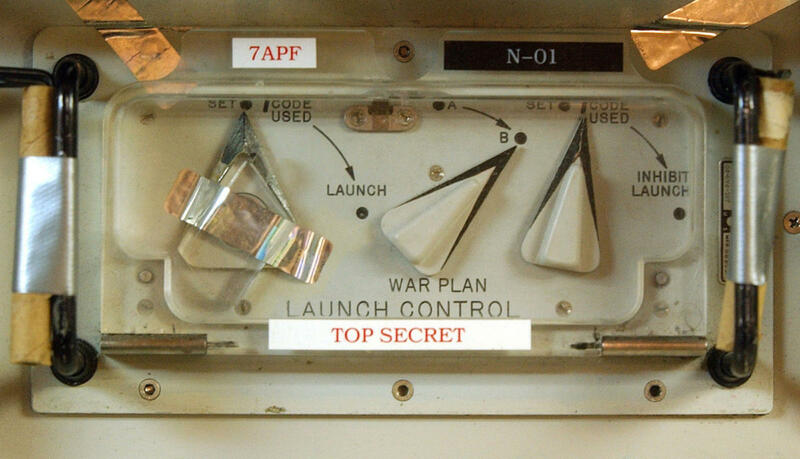 Time to get rid of launch on warning nuclear weapons systems. Let’s meditate this first of all, instead of being trumped by irrelevant matters. Dear, dear Marg! Thank you. I have just read out aloud your comment to Jeannie. She and I are very moved by what you wrote. We are sitting up in bed with four dogs fast asleep about us: Cleo; Oliver; Sweeney; Pedy. As it is practically every start of our every day. That strange stirring together of great calmness, of great peace and love, and deep undercurrents of great uncertainty. It is a very special gift that so many of us can reach out across this world of blogging and share our innermost feelings. And Paul, as I read this, minutes after you wrote your response, I am lying in my bed with my two dogs and my IPad, just after 3.00 am in the middle of the night in northern Tasmania. Sunset is late here at the moment and I walked my two dogs on the beach for an hour this evening before 8 pm. All is quiet and calm now and wallabies, pademelons and other nocturnal Australian marsupials are out on the lawn grazing. Yes, the Internet is surely a modern day gift that we must be truly grateful for – allowing us to connect like this from one end of the Earth to the other. Wishing you and Jeannie a beautiful day. Wonderful to reach out in this manner. Sleep well, and thank you! Thanks Paul for helping with this problem, a problem potentially as big as one hundred world war twos, potentially unleashed anytime. Some will scoff, but Obama just took the largest sanctions against Russia since the cold war. (Against the advice of his foreign minister, Sergei Lavrov, Putin said he will not retaliate; Wikileaks is saying the leaks come from the USA, some hint they come from the NSA, as Podesta, Clinton’s chief of staff, is listed as a foreign agent). I will reblog your entire essay, which is much better written than I can master, as soon as I have time…. Thanks again, and happy new year for you and your readers! Thanks Paul for helping with this problem, a problem potentially as big as one hundred world war twos, potentially unleashed anytime. Some will scoff, but Obama just took the largest sanctions since the cold war. (Against the advice of his foreign minister, Sergei Lavrov, Putin said he will not retaliate; Wikileaks is saying the leaks come from the USA, some hint they come from the NSA, as Podesta, Clinton’s chief of staff, is listed as a foreign agent). People whine a lot about World War One and World War Two. Whining is good, as long as it leads to examination of the causes of what went wrong. World War One was pretty much started, in first order of appearance, through the will of five men, five Prussians (one of them the Kaiser, a plutocrat, eldest grandson of queen Victoria, cousin to the Tsar Nicholas II). Those men actually had planned to attack within 18 months, on December 11, 1912. Would they have engaged on that “preventive war” without the assassination in Sarajevo, and the subsequent ultimatum of Austria-Hungary to Serbia? We don’t know (the assassinated Archiduke was a strong, albeit grouchy, advocate of peace at nearly any cost, and a close friend of the Kaiser). However a fact is carefully ignored by history textbooks and history university professors: on June 1, 1914, the adviser of racist US president Wilson, Colonel House, proposed to the Kaiser a world government, with the UK, explicitly adverse to the “racially inferior French”. Little noticed by textbooks and historians is the fact that the USA, with the help of the “neutral” Netherlands, enabled the Kaiser to keep on fighting in spite of the Franco-British naval blockade (which was absolute). The Kaiser needed cotton for his high performance explosives, and it came from the US. Conclusion? A trio of men can start a world war, if they have the power to do so: the Kaiser, the US president, and Von Moltke. The same general context was true for World War Two. through their actions, both the US and the UK rebuilt Germany as a war machine and an economic powerhouse, as a partially owned subsidiary. After the fall of Spain to the Nazis and fascists, Great Britain decided to support the French Republic in opposing Hitler by all means necessary (February 1939). After France and Britain declared war to Hitler for his invasion of Poland, US President Roosevelt could have made the war stop early by delivering on the “guarantees” he had given France. But he did not. As a result, what should have been a short war against the Nazis, turned into a vast holocaust. Conclusion: if one sets up a situation where things can go very wrong, given enough time, they will. The Obama administration engaged in a one trillion dollars nuclear weapons program, but did nothing to reduce the nuclear weapon threat. An obvious strategy for peace would have been to withdraw the land based ICBMs (Britain never had any. France dismantled its own; only three countries have them now, including the USA). Those are launched on warning, and are extremely dangerous. In this, as in so many other matters, Obama has been an immense disappointment. People who want progress, should push for progressive ideas under the Trump administration. We cannot just hope that Trump will trump his critics (as he did so far). We have to push him in the right direction. The fate of humanity is at stake. And it could be gone in a flash, thanks to our previous, highly criminally derelict leaders. Although I ‘arrived’ a few years after the end of WWII, I was born in Frankfurt where the city was like London, piles of ruble. And like you, I share my concern about rhetoric being so cavalierly tossed about these days. As a card carrying unapologetic liberal, I hope people of all stripes challenge the administration and the Congress and any potential arms race. I grew up in the age of civil defense drills (which seem naively laughable to me now-hand over head crouched under a desk-yeah that’ll save you from a nuclear blast 😟) and sure as heck do not want to go back to something like that in an age where the weaponry is far more sophisticated, dangerous and oh-so plentiful. Sadly too many people following this election feel as though they cannot do anything meaningful or that their voice doesn’t count when it comes to government. The ‘resistance’ must be active and vocal beginning NOW and not waiting until we reach critical mass. It is more important than ever to be engaged and demand accountability. Golly! What stirring, passionate words! Such a privilege to read them. If I was a younger man I would be more active in working for the sort of world that you, and millions of others, seek. Once again, thank you and a very Happy New Year. Thank you, Val, so very much.